Featuring all first and second division in Qatar; The Amir Cup is the biggest football cup competition in the country. The Amir Cup was first played in 1972/73 and was won by Al Ahli. The event is contested every season by 17 QNB Stars League and Second Division teams. The most successful team are Al Sadd who won the tournament 16 times followed by Al Arabi who have bagged the title on 8 occasions. Al Duhail are the defending champions. The Amir Cup has undergone a few changes since it was first played in the early 70s. In 1999, it was decide to include Second Division sides along with the top tier teams playing for Qatar national league title. In 2004, the tournament was planed in such a manner that the event would last five stages. Matches will be played in the knock-out format. Winners from each round proceed to the next round. If a match ends in a draw, competing teams will resort to penalty shoot-outs to determine the winner. 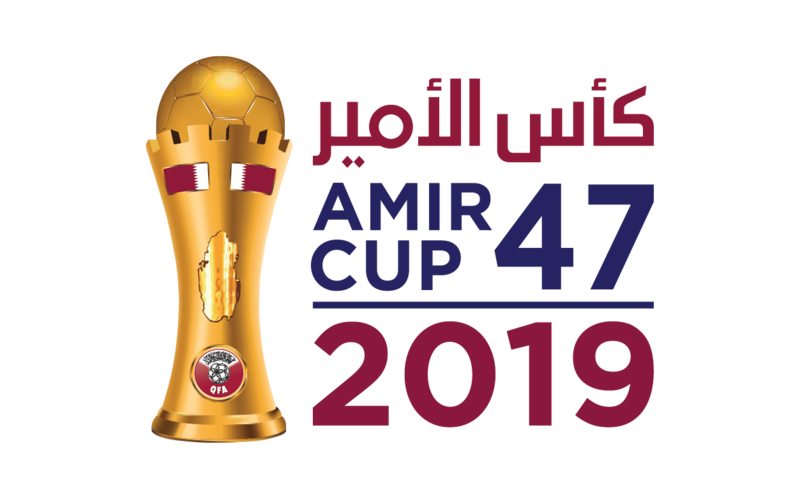 In its 47th edition; the Amir Cup will consist of five rounds according to the following order: the first round will take place on April 11, Second round on April 20 and 21, third round on April 26 and 27, fourth round on May 2 and 3, fifth round on May 11 and 12 and the final match on May 16. The competition commences with a match pairing the fourth and fifth-placed teams Al Shamal and Mesaimeer in the Second Division. The top three teams of the Second Division in addition to the winner of the Mesaimeer-Al Shamal clash will vie against clubs that finished from ninth to twelfth (9-12) in the QNB Stars League. Matches will be held at Thani bin Jassim Stadium and Grand Hamad Stadium on 20-21 April 2019. Qualifying teams from the second round are drawn to play against the fifth, sixth, seventh and eighth placed teams of the QNB Stars League. Winners of the matches will proceed to the fourth round of the tournament, matches; will be played at Thani bin Jassim Stadium and Grand Hamad Stadium on 26-27 April 2019. The top four teams of the QNB Stars League are drawn to play against the four qualifying teams from the third round, matches will be played at Grand Hamad Stadium and Abdullah bin Khalifa Stadium 2-3 May 2019. The winning teams of the fourth round will play against each other; the two winning teams will proceed to the final match on 11-12 May 2019, both matches will take place at Jassim bin Hamad Stadium. The winners of the fifth round matches will play against each other. Winner of this match will be crowned champions of the 47th Amir Cup, the final will be held on 16 May 2019. Grand Hamad Stadium, Al Arabi Sports Club. Thani bin Jassim Stadium, Al Gharafa Sports Club. Jassim bin Hamad Stadium, Al Sadd Sports Club . Abdulllah bin Khalifa Stadium, Al Duhail Sports Club. Featuring all first and second division clubs in Qatar; The Amir Cup is the biggest football cup competition in the country. The Amir Cup was first played in 1972-73 and was won by Al Ahli. The most successful team are Al Sadd who won the tournament 16 times followed by Al Arabi who have bagged the title on 8 occasions. In last year’s edition; Al Duhail beat Al Rayyan 2-1 in the final match at Khalifa Stadium to complete a historic treble.